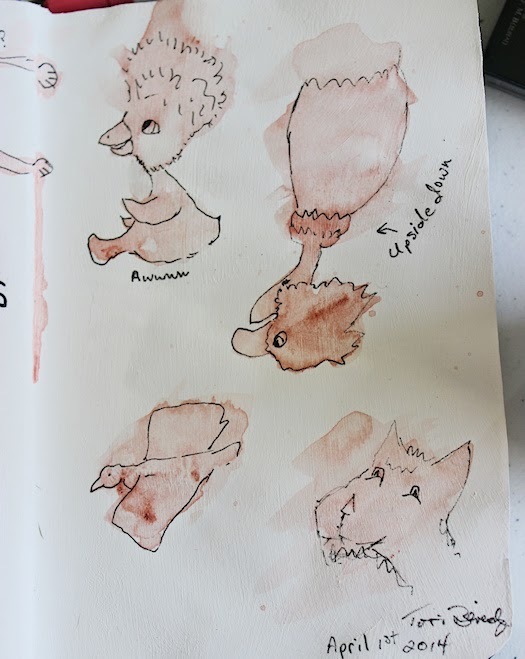 On April 1st, I splashed some paint on one of my journal pages. 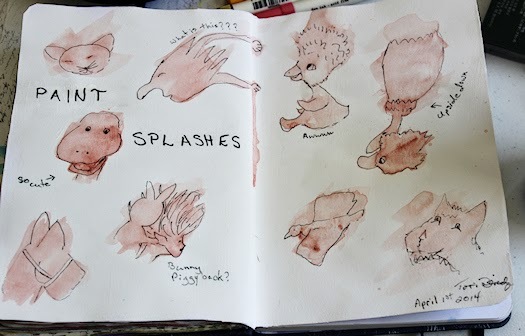 I’d seen an exercise on a blog somewhere, (for the life of me, I can’t remember where, I’ve visited so many blogs lately), where you splatter paint on a page and let it dry, then go back later and see what you can see in the paint splats. Pull the image from the paint. Perfect for an April Fool’s Day page, no? I really, really loved this exercise. The first thing I saw was the little cat/mouse in the upper left hand corner. I couldn’t decide if it was a cat or a mouse, but I guess it doesn’t matter. 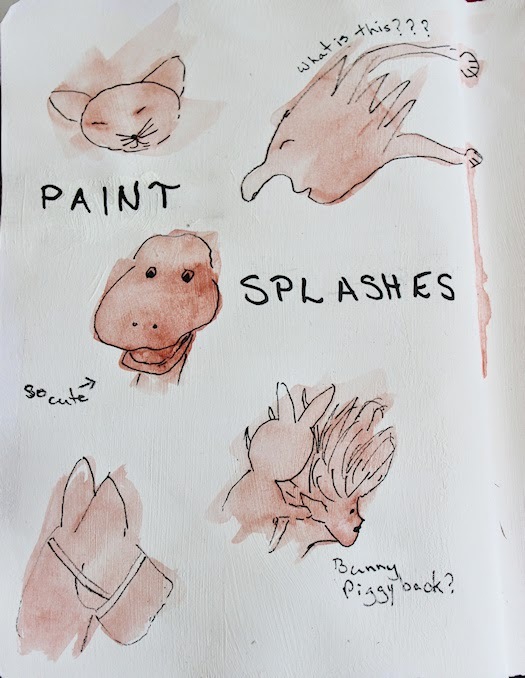 Then I saw the bunny shape and the face in the same splash. Then I couldn’t really see much of anything, so I closed the journal and left it for a couple of days. When I came back I could see the dinosaur, which I just love. He’s so cute. The silly upside down bird and the What Is This guy were the last things I saw. I had to turn the page upside down to see the upside down bird. I still don’t know that the ‘What Is This guy’ is, but he is what I saw in the paint splash. I hope it’s not like ink blots and reveals to the world just how strangely my mind can work. I choose to think it simply reveals how imaginative I can be. I highly encourage you to try it. It’s quite fun. Remember that not everything may emerge from the splashes at once. Keep coming back to your page over a few days, like I did, until you can see everything. 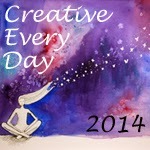 Posted in Creative Every Day and tagged art exercise, art journal, journaling, paint splash exercise.